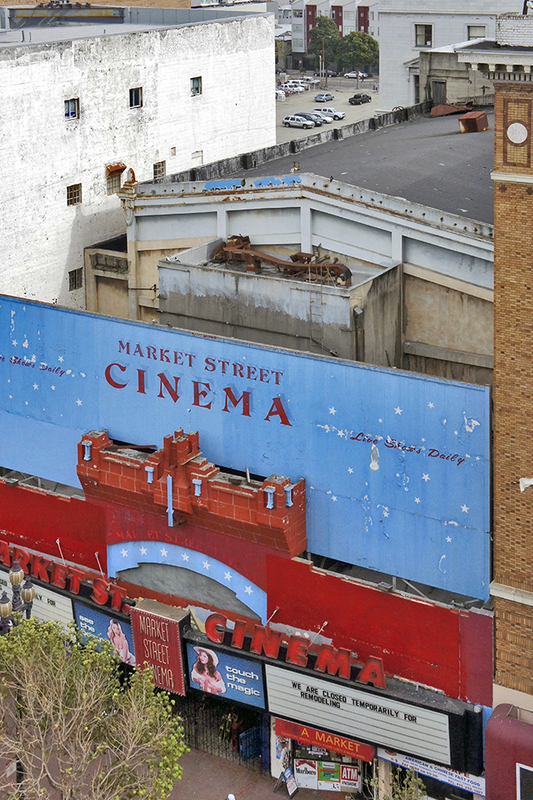 I am currently working on an extensive post about the Market Street Theater and Loft Historic District. Stay tuned. Be forewarned: it is not a happy story. 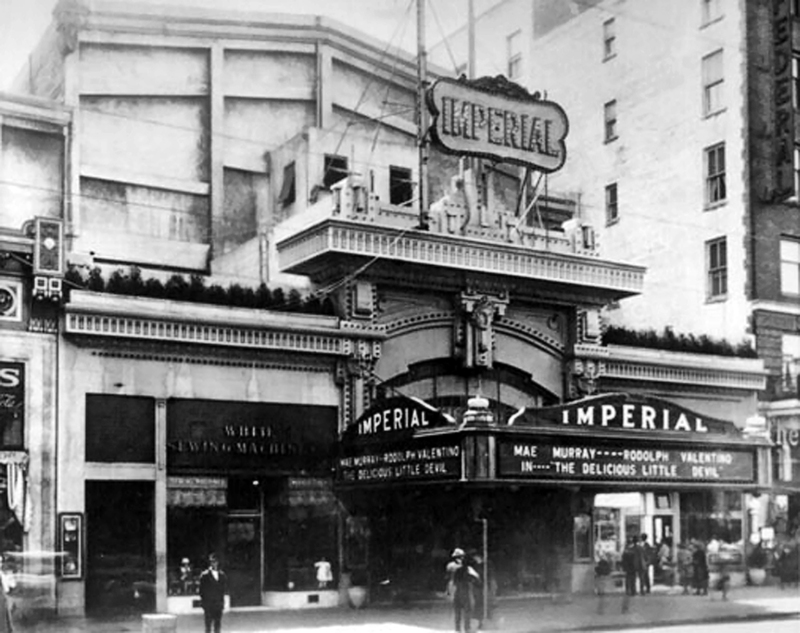 For example, extensive alterations over the years have made the Imperial Theater an “intrusion,” meaning it does not have the protections afforded by “historic” status. Very soon, it will be demolished and replaced by — what else? — high-rise condominiums. Too bad They do not understand that all buildings, even boxes of ticky-tacky, change in the course of their lives and some of them need to be kept to retain that part of the history of the area. This looks like a gaudy treasure of a keeper! You may get your project done before I get mine done; finally posting things to my web site. Am hoping for most of it to be done this Sunday. Trading with a smart friend. I wouldn’t count on this project getting finished anytime soon, Helen. I owe you a ton of correspondence. So sorry to have been out of touch, but you know me; I can only deal with so many things at a time. Expect email soon!